Are You the Idiot Who Would Buy Katy Perry's Left Shark Onesie? 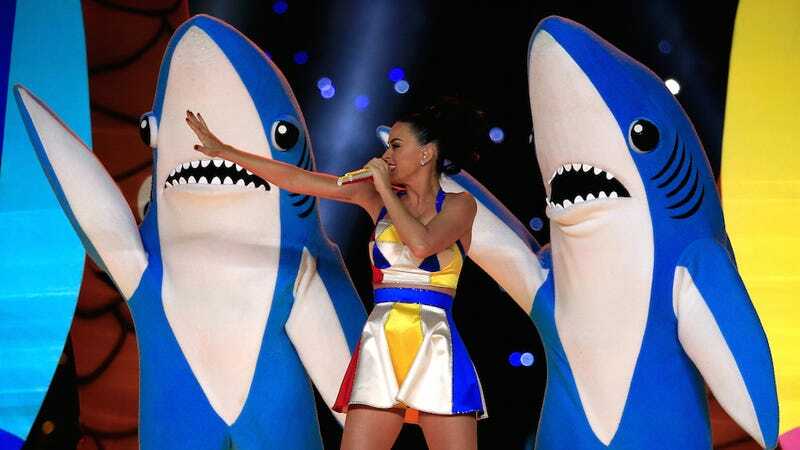 After shutting down Etsy vendors who were trying to memorialize the famed "Left Shark" of the 2015 Super Bowl halftime show in art, Katy Perry has revealed her master plan: To make big bucks selling her own Left Shark merchandise. Tell me, are you the idiot who would buy this? Or are you the hero who will continue to support independent artists by wearing this bold, brave and grotesquely beautiful costume? You see, it's commentary because the right and left shark costumes are actually the same.